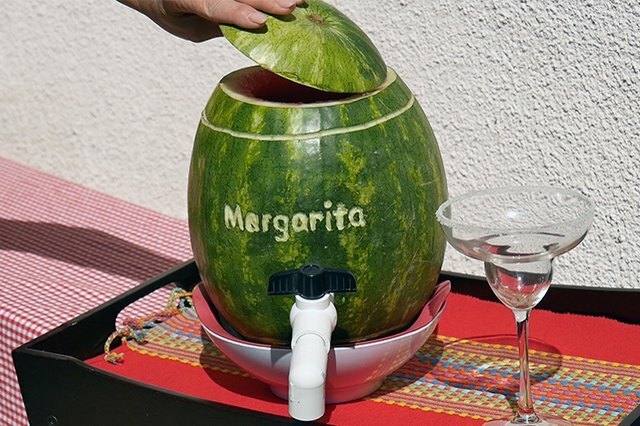 Want an unique way to serve a refreshing, summer drink at your next outdoor gathering? 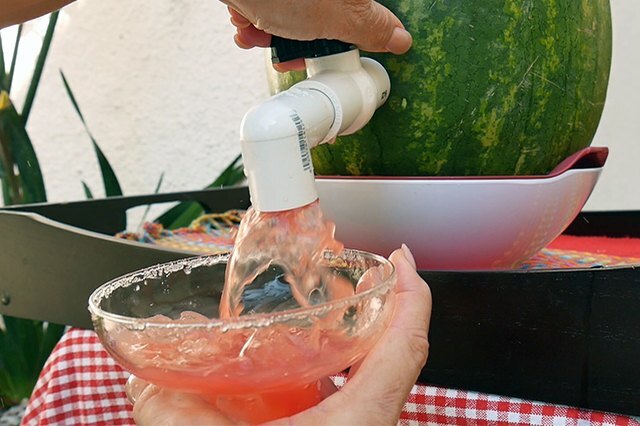 Try making this keg created from a watermelon and a handful of plumbing supplies. Sit the watermelon upright in a small bowl so that it stands as straight as possible. 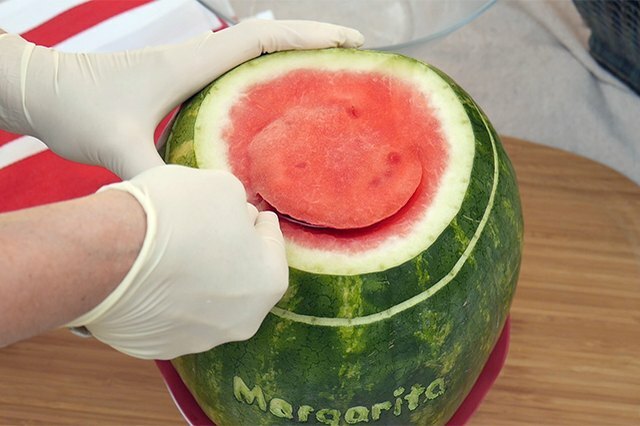 Cut the top off of the watermelon. 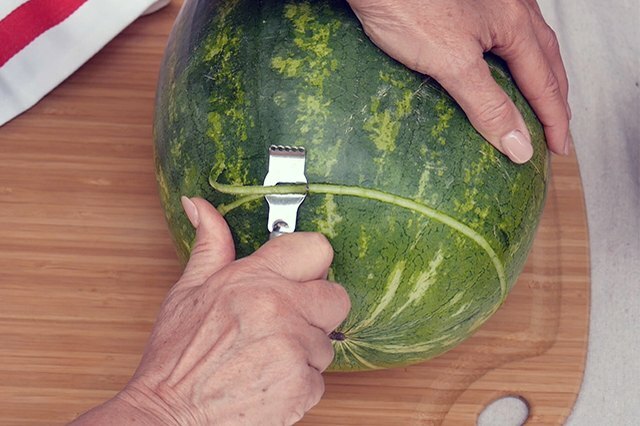 Lay the watermelon on its side and carve a straight line about one inch from the top and another one near the bottom, using the groove cutter on a zester tool. Print out the provided template or make your own label. 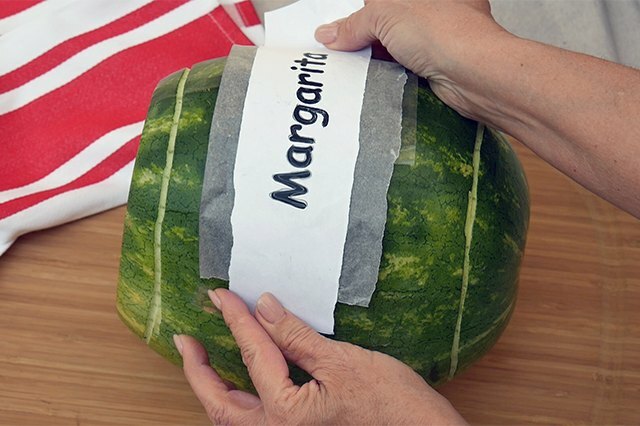 Tape a piece of graphite paper to the center of the watermelon and place the template on top and tape it into position. Trace each side of the letters from the template. 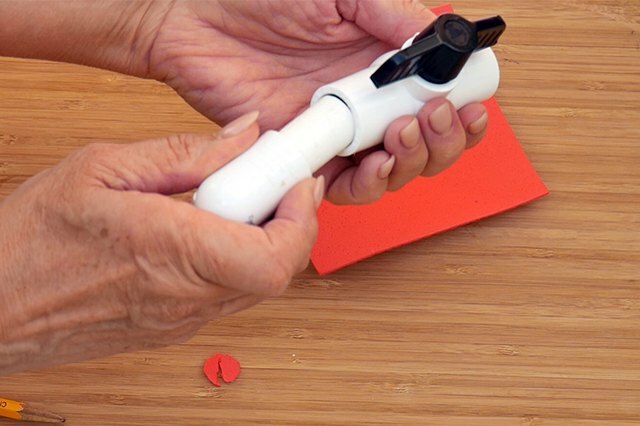 Remove the template and carve the letters using a craft carving knife. Be careful not to cut too deep. 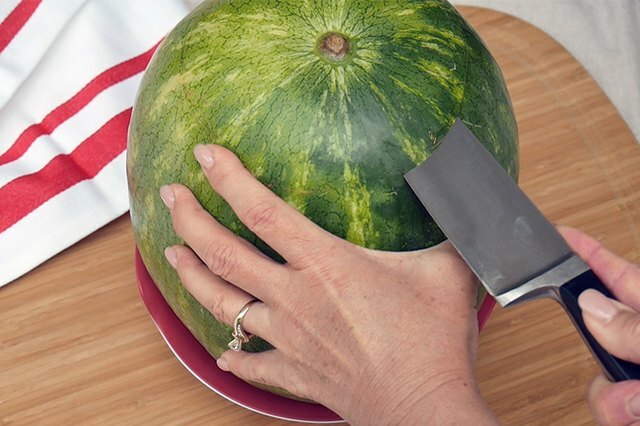 Turn the watermelon upright in the bowl and scoop out the insides with a large spoon. Thoroughly wash a scrap of craft foam, and then trace the circumference of a piece of the 3/4 inch pipe onto it. 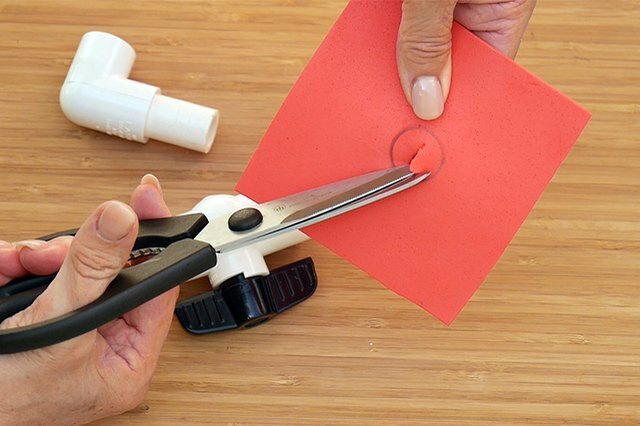 Cut out the craft foam about 1/8 inch inside the marked line and set aside. 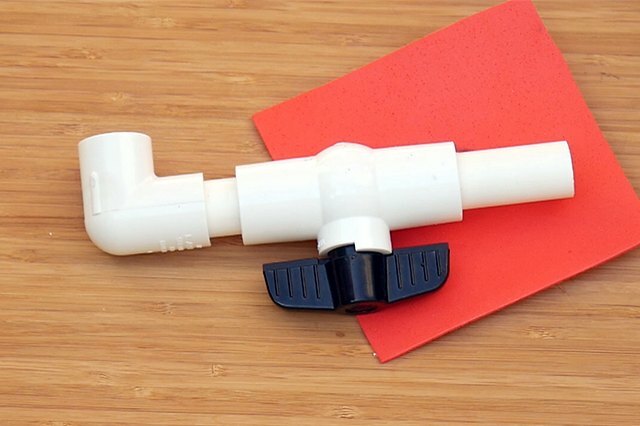 Connect the 90 degree elbow to the ball valve with one of the short pieces of PVC pipe. Attach the second piece of pipe to the opposite side of the valve. 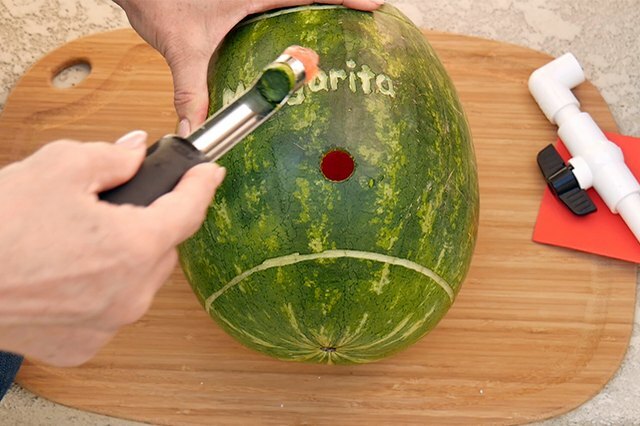 Place the watermelon on its side and use an apple corer to cut a hole centered along the carving. Insert the tap assembly through the hole. 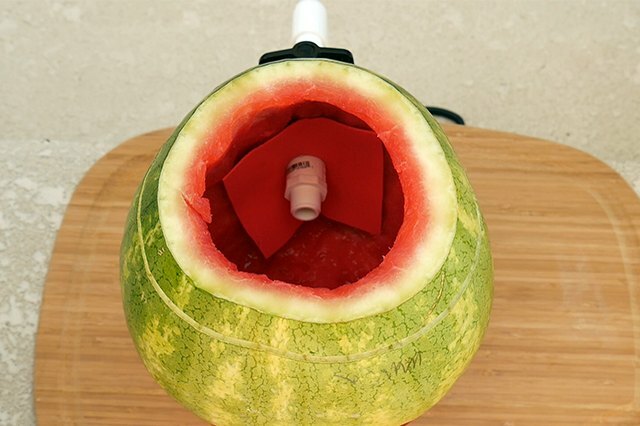 Place the foam over the pipe on the inside of the watermelon and push it up tight against the side. Pour in your favorite beverage. 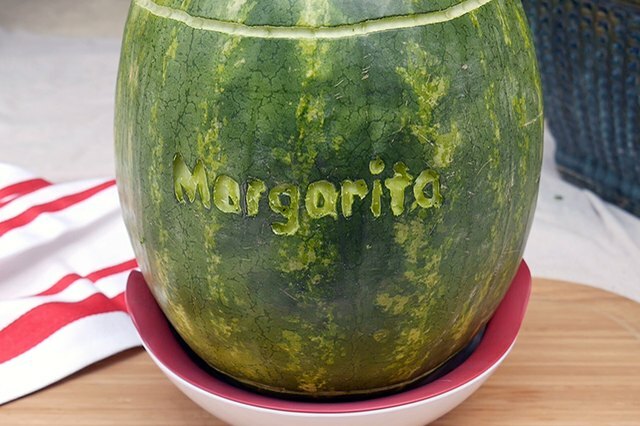 We prefer watermelon margaritas, and you can find an easy recipe here. 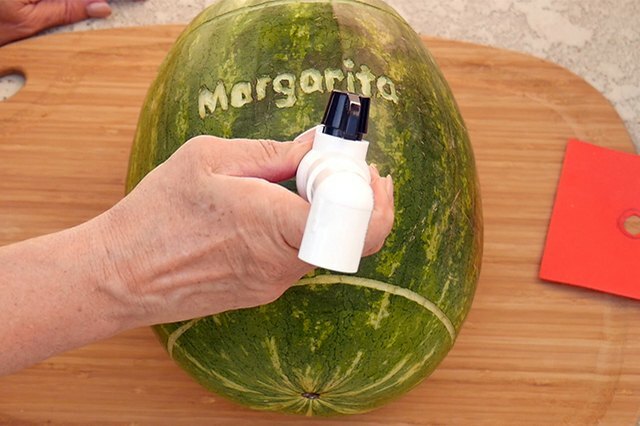 Replace the top of watermelon. 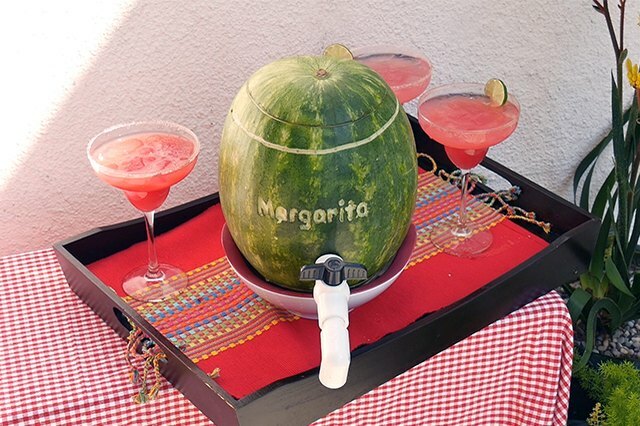 Serve your favorite beverage and enjoy the party!